Self growth doesn’t end until you do. Sometimes we think when we get everything we want such as the perfect career, amazing spouse, healthy children, loving friends and financial abundance that there isn’t anything else to learn. You’ve got it all! What more could you possibly want? Perhaps it’s not necessarily what you want, but what you NEED. Perhaps it’s a better understanding of compassion towards others or yourSELF. Perhaps it’s a deeper level of patience or a more expansive understanding of LOVE. We ALL have our own fears to face, challenges to overcome and lessons to learn. We can all go deeper, it’s just a matter of how deep we’ll allow ourselves to go. It’s about EVOLVING as a human being: physically, mentally, emotionally and spiritually (whatever that means to you). It’s about consistently peeling back the layers and gaining a deeper level of understanding of yourSELF and the world around you. LIFE and all the experiences it provides is a GIFT and an HONOUR. That’s great Tina; sounds so simple but how do you EMBRACE financial stress? Health issues? Relationship troubles? Grief? It’s like riding a bicycle and you approach a hill, if you stop pedaling you will fall over, crash and injure yourself. It will hurt. If you keep pedaling, one push after another, you will eventually reach the top where you can coast for awhile on the other side. Both options are difficult but one option has a greater understanding of ‘digging deep’ and not giving up. It is through continuing to move forward that the lessons and rewards reveal themselves. In basic terms, I believe we are here to experience a greater understanding of LOVE in all forms, to all people, including ourselves. You are learning at five years old and you are learning at 85 years old; that is my belief. 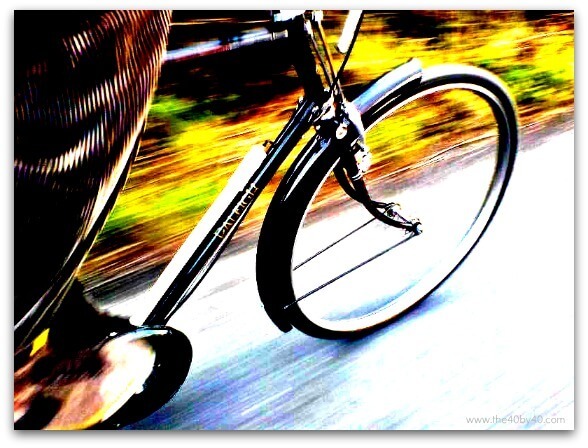 The question is how deep are you willing to go and how far are you willing to pedal?